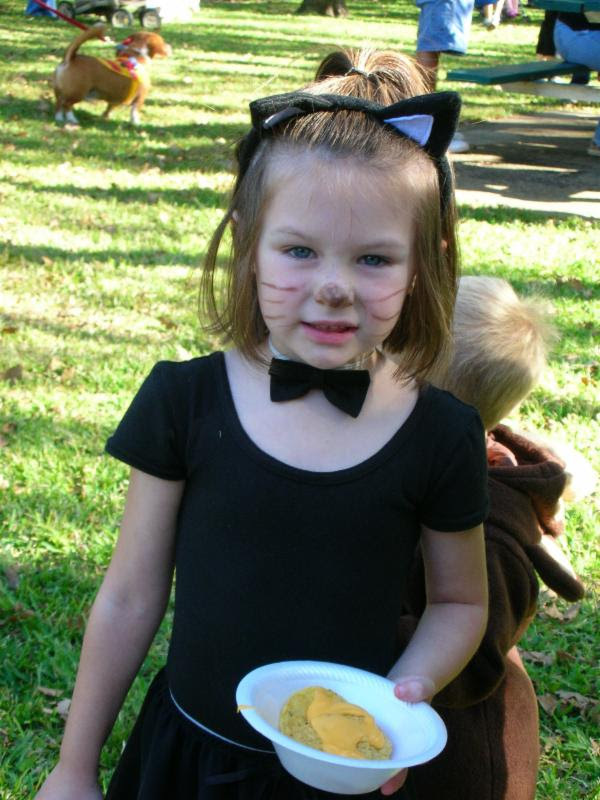 Oakhurst Neighborhood Association, Fort Worth, Texas: Save the Dates: October Events! 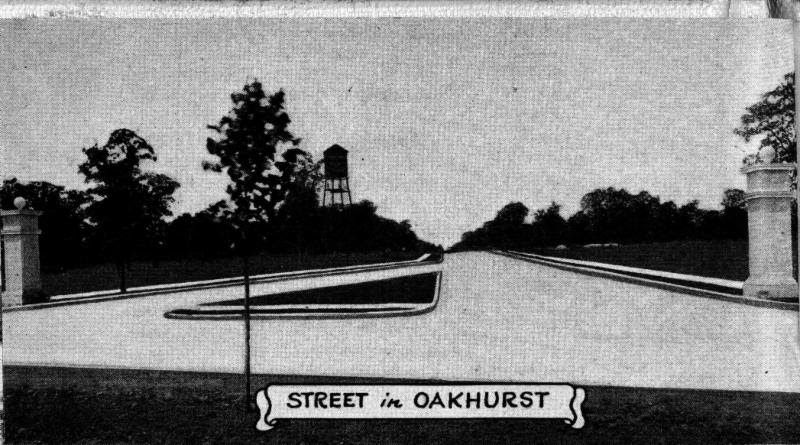 October is Oakhurst's biggest month! 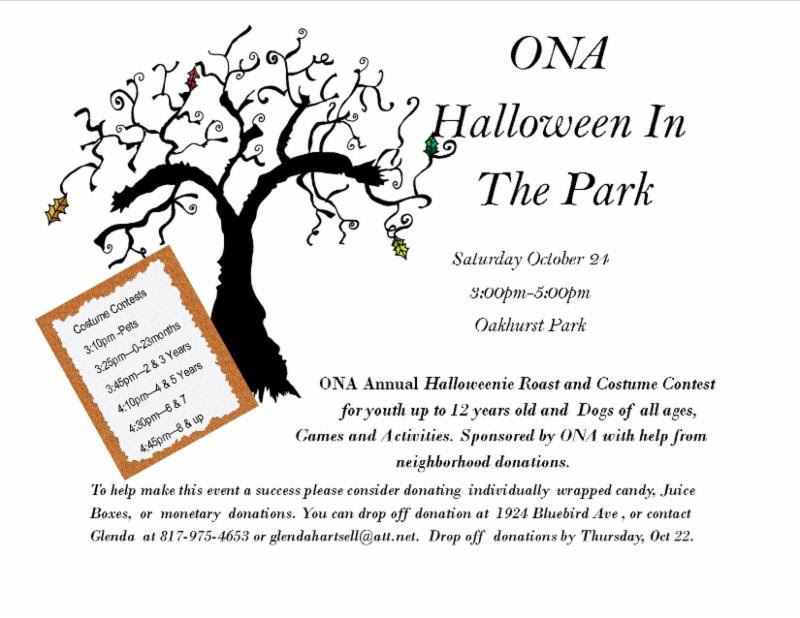 Join us for all the ONA and community events in the neighborhood listed below! 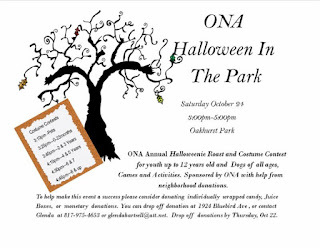 ONA is sponsoring a get-together for Oakhurst families with children! After you and your family have dinner, head over to the park for dessert with old neighbors and meet new ones! 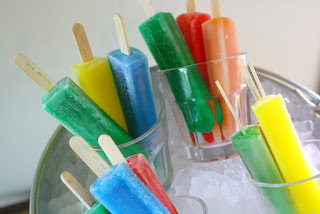 If you're a new family, this is a great way to get to know the other kids in the neighborhood. Popsicles will be provided. 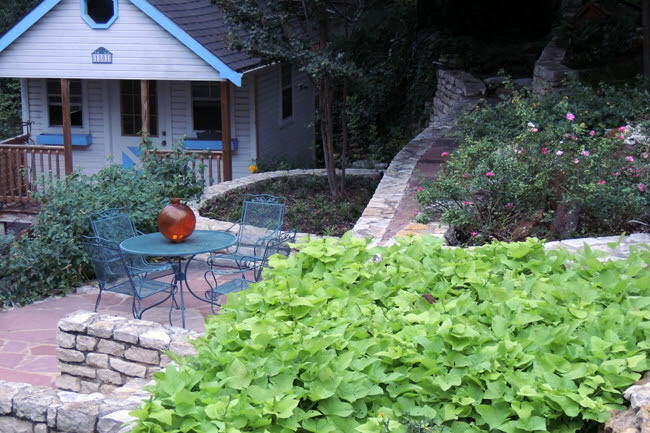 "Open Day" in Fort Worth, including two gardens in Oakhurst and two in Carter-Riverside. Check out www.gardenconservancy.com and read about the tour gardens in the September Oak Leaflet. Join us for this annual fall extravaganza as Oakhurst COPS and ONA honor our firefighters and police with a homemade meal made by Oakhurst residents. 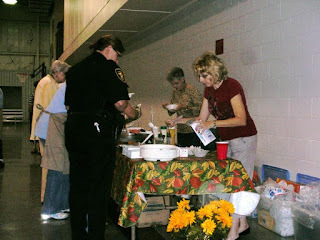 Bring your best casseroles, salads, and desserts and help thank the officers who look out for us—and also visit with your neighbors. Read more about the event in the September Oak Leaflet. Come hear the latest updates from the Association and a special program on the history of Oakhurst from Libby Willis, author of "Fort Worth's Oakhurst Neighborhood," entitled "Why Oakhurst is Important to Fort Worth's History". 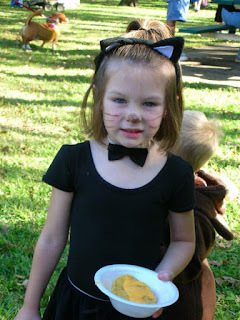 The annual Halloweenie Roast, Kids' and Canines' Halloween costume contest, and general all-around neighborhood good time celebrating fall! Bring your kids, bring your donations, and get ready to have fun!